Webster's Dictionary states that personal space is "the physical area immediately surrounding someone, into which any encroachment feels threatening to or uncomfortable for them." Yes, encroachment in a confined space is a problem, and nowhere is it felt more than on a crowded Long Island Rail Road train. In the NFL, encroachment is called when a defensive player enters the neutral zone, making contact with an opponent prior to the snap. There is no neutral zone luxury on the LIRR, and you certainly can't expect conductors to act as referees, so unchecked violations are a regular issue. There are different levels of encroachment. Some egregious, and some minor. Let's look at a few. Parallel encroachment. Regular TTIV contributor Octavius shared this one. The participants are in a two-seater, and the violator is wearing a pair of green jeans. Can you see what's happening here? His unwillingness to put his bag on the overhead rack has narrowed his own personal space, and as a result his knee has encroached on Octavius. The markers on the seat in front of you identifies personal space boundaries. Mr. Greenjeans is in violation. Five yard penalty. Parallel encroachment applies to legs and the upper body. In the winter, jackets get bulkier. I am committed to wearing a vest jacket, which shrinks my width. It's a measure of holiday goodwill to my fellow commuter. Invasive breach. This one happened to me. See my left leg and right shoe in the photo. A young man got on and sat across from me. He proceeded to stretch out and his right leg went to the first open space he found. You don't do that. This is an invasive breach of personal space. This is a 15 yard penalty, combined with excessive celebration. We'll throw in a 5-minute major hockey penalty as well. It's just wrong. I corrected this situation immediately. 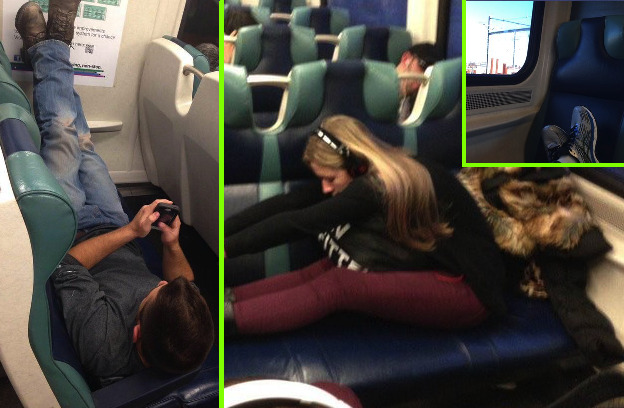 You have to put up with a lot on the train, but there are limits. Debatable encroachment. 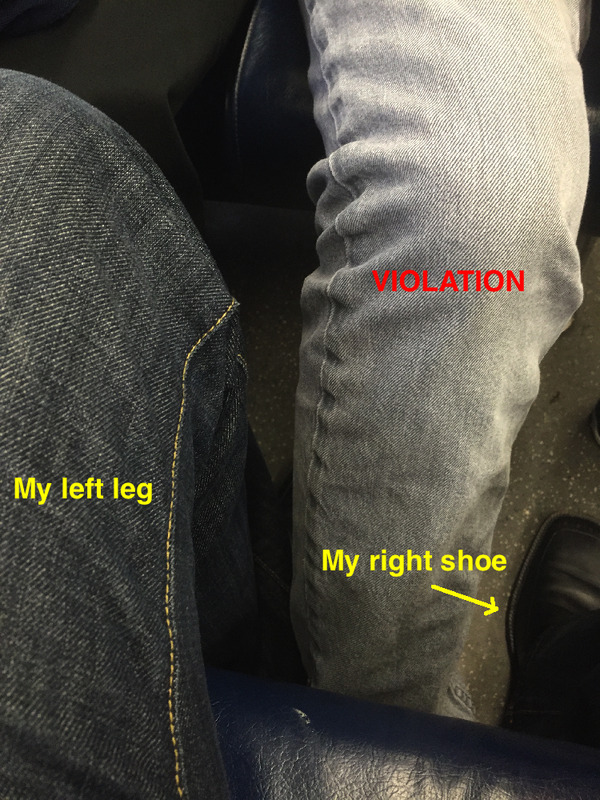 According to LIRR rules, it's one seat per pair of buttocks. Feet are not supposed to be on the seats. Look at these people. The guy on his phone thinks he's in his living room. The woman in the middle is in yoga class. And then there's the feet on the seats. Should encroachment be called on these rule violators? 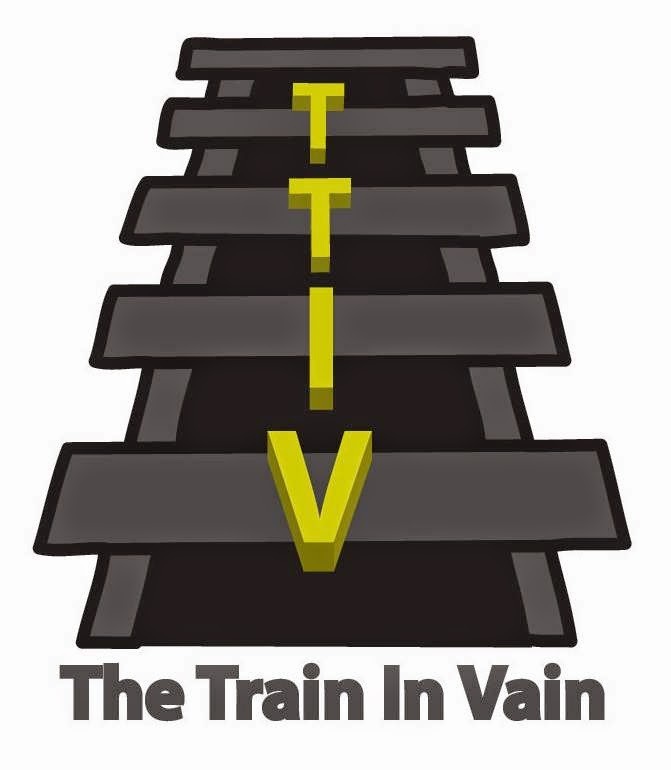 Does it matter if the train is not crowded? Sometimes you want to stretch out and relax on the commute. But it's disrespectful to other commuters. TTIV's recommended penalty is ejection and a two-game suspension. Any goodwill I had is used up from wearing a width-reducing vest. I'm in no mood to take prisoners. Some may squawk and whine about these penalties, but they are the official ruling of the judges and linesmen. Feel free to play the game in protest, perhaps these calls will be overturned. The MTA will review your written statement in the order it was received. Allow 829 business days for a response. 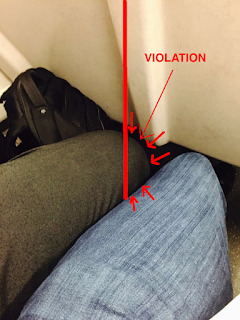 In a recent TTIV blurb post on social media, I was amazed at the brazen disregard for personal space by a person sitting across from me in the four-seater. Most of the time, commuting warriors take a "grin and bear it" approach to dealing with such behavior. And then sometimes such behavior needs to be addressed directly and rectified.